BELLVILLE — Council approved an ordinance governing employees’ salaries for 2019 at its most recent council reading. Village council’s finance committee had discussed the need for village department heads to have more control of employees’ salaries. This ordinance allows department heads to set salaries at the cost of living rate of 3 percent, said fiscal officer Brigette Gatton. The ordinance was passed on its second reading after a motion was made to suspend the rules. Those require three readings of an ordinance before final passage. Council, in other matters, learned about efforts of the street committee. Josh Epperson, committee chairman, said there have been reports of poor drainage on Poorman Road. A salt budget was discussed, and Epperson talked about work needing to be done at intersections and in alleys. Council member Jasons Guilliams asked Gatton to contact someone from RITA to discuss costs. That group is going to be doing work for the village, which involves dealing with payment of village taxes. RITA is the Regional Income Tax Agency. Guilliams said that group needs to be more open about costs. The financial figures from the village show a total carryover from 2018 to 2019 with all funds combined to be $1,573,9976.39. The projected revenue for 2019 is $3,525,921.23 for all funds combined. This gives the village a total of $5,099,897.62 to work with if all revenue is collected as projected, according to Gatton. The $5 million figure contains money for water and sewer departments. Expenditures budgeted for 2019 in all funds including debt is $4,451,594.68, according to finance figures. Council minutes listing all these activities must be approved at the next council meeting. Josh Epperson reported there was a Street Committee meeting tonight before the Council meeting. There was discussion on the drainage on Poorman Road, the salt budget, recent Street Ordinances that were passed, intersection work, and allies that are going to be vacated. 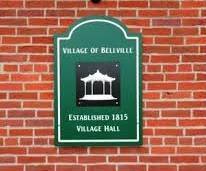 The Planning Commission will hold a special meeting on February 7, 2019 at the Village Hall at 4:30 p.m. The second reading was done on an Ordinance establishing maximum employee wages, repealing ordinances in conflict. Guilliams made the motion to accsuspend the three reading rule on the Ordinance establishing maximum employee wages repealing ordinances in conflict and Edwards second. Motion Approved with 6 ayes. Jason Guilliams asked the Fiscal Officer to contact RITA and inquire about why their information was not more open about costs.